OK, I confess – I am something of a seed junkie. Whether it’s packages of seed from various seed companies, seed I’ve saved myself from plants I grew, seed I’ve picked up from public places that let their plants go to seed or wild seed collected as it ripens, my seed coffers are usually full to bursting. In fact, I tend to have packets of seed in a variety of places and am prone to forgetting what is where or how much of which variety I have. I make periodic attempts to organize my seed collection (limited by not being able to remember the location of all my stashes) but somehow I always wind up in late December or early January searching, sorting, testing for germination, entering data in my seed spreadsheet and then ordering something only to find out I actually did have it in one of my stashes. Or worse, I think I have it and don’t order it, only to be caught short at planting time. This is complicated by activities that allow for seed stratification, also known as cold treatment – I often clean the freezer and discover that I have some fruit tree seeds tucked away behind the grass-fed beef or homemade butter. Ideally, you allow fruit tree seeds like apples or pears to sit in the peeled and cored fruit material until they begin to ferment a bit, then seal in a plastic bag and put in the freezer for at least six weeks. After defrosting, the seeds are planted and allowed to grow for a year or so before being planted out in their permanent locations. This technique helps to foil the squirrels, birds and other wild creatures that will happily devour the seed or the first green nubbins of a sprout, but it also means I sometimes temporarily lose the small stratified seed package in the depths of the freezer. 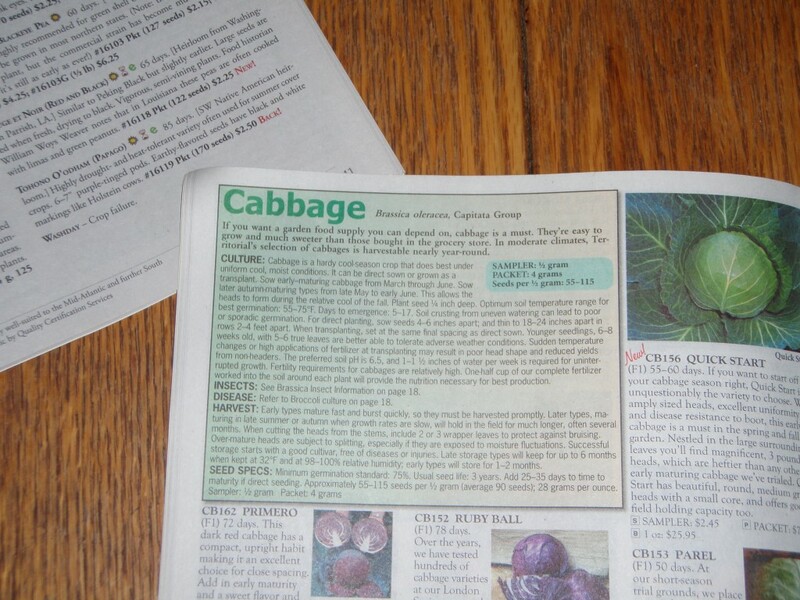 Seed catalogues are often full of useful information. 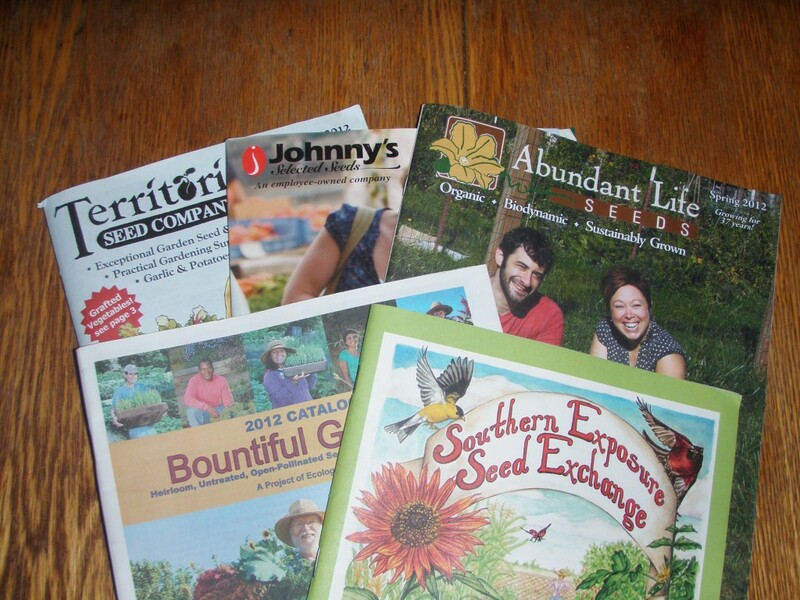 Gardening books and websites often make a big deal of seed storage. You’d think the survival of the human race was resting on these little bits of germ plasm – a seed bank needs these detailed, complex procedures, but the home gardener doesn’t. The novice gardener comes away with her head reeling over humidity and temperature figures, packaging details and storage containers. Since I am avowedly lazy and chronically short of time, I shortcut all the suggestions and save seeds in my normal contrary fashion. In my experience, there are really only three important factors to seed storage: keep ‘em dry, don’t let ‘em freeze and LABEL the packages. You can store seeds in the house and meet these conditions quite easily, as long as you don’t try to put them in the moist environment of the bathroom. This entry was posted in Farms, Food, Health, Money Matters. Bookmark the permalink.